CloudMile‘s 1st year anniversary begins with moving into the International Trade Building and greeting the brand-new office. We said goodbye to the harvest year with the support of about 200 customers at home and abroad, good results in revenue that has grown more than three times, fundraising and growing a stronger team. We are often asked, CloudMile as a start-up less than two years ago, what is the key to support CloudMile’s progress? 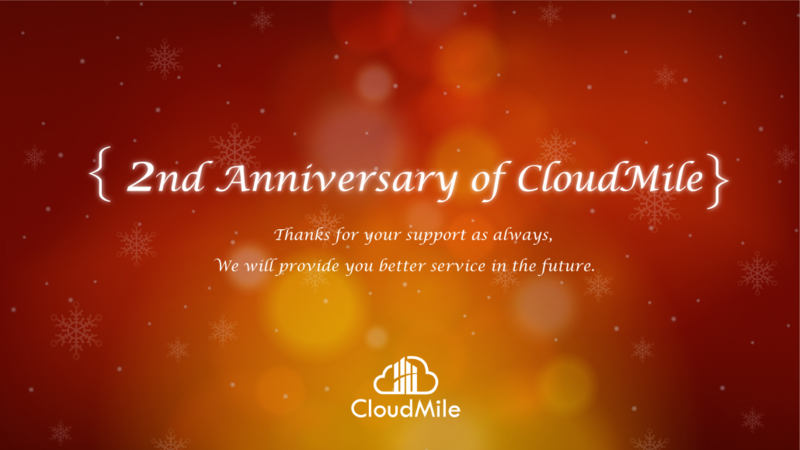 January 17 is CloudMile’s 2nd birthday, while we are celebrating, we also share CloudMile’s two business philosophies with you. 1. Continuous upgrading of technological capabilities to win the recognition of customers and partners. For CloudMile, cloud and AI are two indispensable abilities in life, they just like human legs, helping us stand higher and jump farther. CloudMile has more than 40 Google Cloud-related licenses and is the first partner in North Asia to win Google Cloud Infrastructure Specialization. These professional certifications make people think of CloudMile first when they think of cloud application experts. We also have a professional AI team that can provide optimized business solutions to meet customer needs. Among our customer case, the most sensational example is that CloudMile cooperate with Google Cloud helping “Ming Textile” ,the famous textile mills to identify fabric by machine learning, so that the time from design to market of new products is greatly shortened from the past 12 months to 9 months, so as to accelerate the production efficiency of Ming Textile and have more confidence to meet the fast fashion wave. This collaboration is also a successful case of Google Cloud’s first product introduction into AI in Taiwan. It shows that CloudMile has profound AI research and development capabilities and can provide customers with the best solutions. CloudMile acquired Google Cloud Machine Learning Specialization in September 2018. 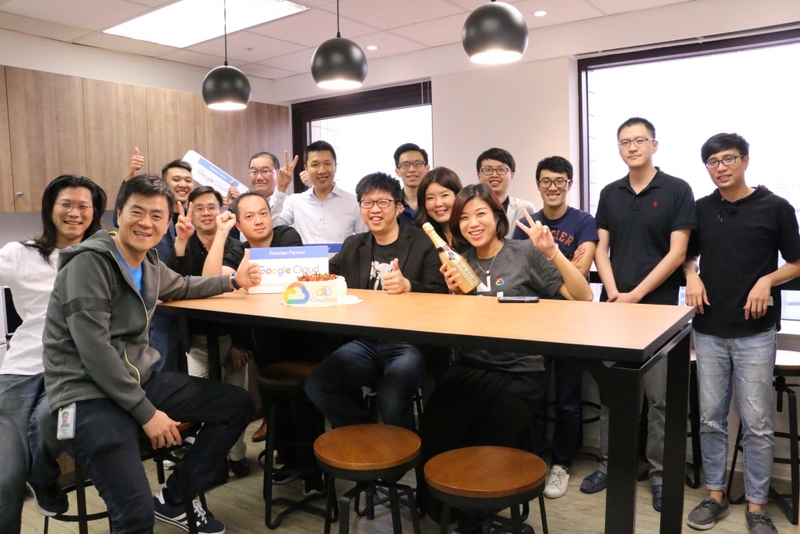 It is the first partner of Google Cloud North Asia to receive this certification, demonstrating CloudMile’s strong technical strength in the field of AI. With the efforts of all CloudMile members, we serve about 200 customers at home and abroad to help customers properly use google cloud and AI technology to enjoy an efficient operating environment and drive business growth. These experiences and abilities have enabled CloudMile to be certified by the Ministry of Science and Technology as one of the top 10 Coolest Startups in Taiwan. It has also been recognized by investors. Within two years of our establishment, we have completed a $4.5 million A-round fundraising, with the goal of fully distributing overseas markets and devoting more efforts to AI research and development. 2. Standing in the customer’s shoes and provide customers with more perfect solutions. With CloudMile’s effort in technology and focus on cloud and AI applications, we also get more partners’ attention. 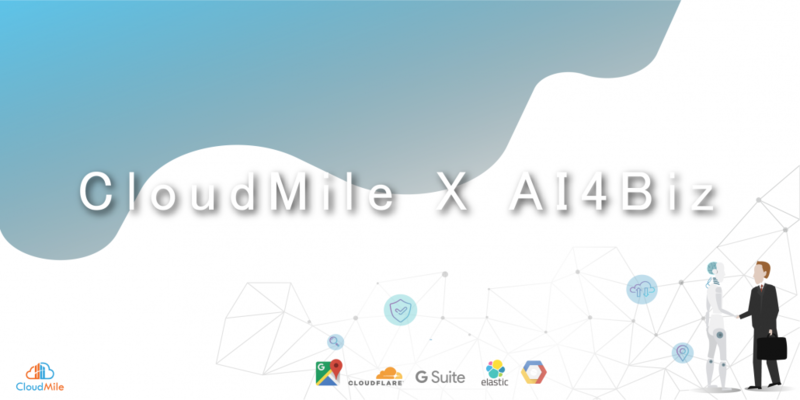 In addition to working closely with Google Cloud, CloudMile has been welcoming cooperation with Google Maps, G-Suite, CloudFlare, Elastic, Workplace and Sifang Telecom, which has enabled CloudMile to think from more perspectives: how to help customers properly use technology and data? To help customer businesses grow better? “Standing in the customer’s shoes” enables CloudMile to continue to provide better services, which is the key to win the favor of many customers. We are convinced that CloudMile will not only be the strongest technical backup for customers, but also the most closely related partners. We can complement each other and grow together. At the same time, in order to let everybody know more about these technologies and applications, we also take the responsibility of promoting scientific and technological knowledge. From the first year of our establishment, we launched a highly praised “Cloud Classroom” video series, introducing a variety of cloud, AI, block chains and other technologies and applications, and inadvertently let our colleagues become internet celebrity (laughter). CloudMile’s technology blog also has a variety of hands-on teaching texts, trying to introduce a variety of new scientific and technological knowledge, industry trends, hoping to help people become more familiar with cloud and AI technology, in order to have the opportunity to make good use of technology and lead industrial change. Last year was a bumper year for CloudMile, giving us more confidence to challenge 2019. In order to provide better services, CloudMile has recruited a large number of talents and expects to double our team size this year, and to form the strongest international team to enter the Asia-Pacific market. CloudMile will take “AI4Biz” as our core strategy, and in the future CloudMile will devote to the development of AI products to provide the most useful AI business solutions for customers in all fields. Up to now, we have invested in the research and development of three major AI products. It is expected that the series of AI4Biz products will be published after the Chinese new year. We invite everyone who cares about CloudMile continue to follow our new developments in the field of AI and join us in “Bring the World Smarter Together”! Founded in 2017, CloudMile specializes in AI technology, adopting deep learning and big data analysis to assist in business predictions and progression; also, CloudMile offers consultancy on Cloud management and solutions. CloudMile is an Asian provider of AI and Cloud services. Our team gathers talents from the 80s and 90s. Respectively specializes in Cloud technology, artificial intelligence, machine learning, big data analysis and other fields. As a Google Cloud Premier Partner, CloudMile’s technical expertise has obtained official certifications including Cloud Architect, Data Engineer, and Infrastructure Specialization.